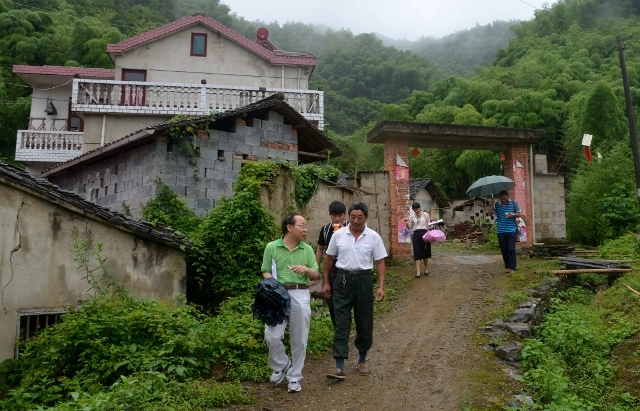 On Saturday, July 1, we visited 13 poor students at their homes. The following are 2nd page of this viist---middle school and high school students. This girl is a 7th grader living with her grandpa (over 70) and her parents. Her mother has heart and stomach problem. Her father works at the mountain to support the family and her mother's parents (only one daughter). She is excellent in school and likes to read books and plays table tennis (at school). Her mother and her rent a room near school (too far). It it enjoyable to talk with her. This girl is a 8th grader with her grandparents, parents, and 2nd grade brother. 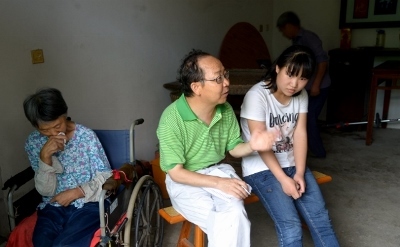 Her grandma has been disabled since 2004, and her grandpa has some cancer. 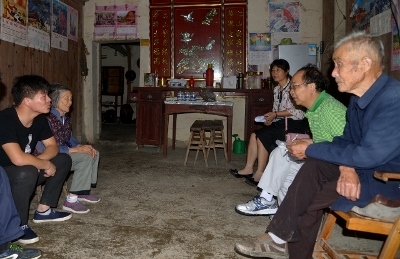 Her parents do odd jobs in Ningguo to support the family. She is about average in school and was very quiet during our visit (also very quite in school according to our volunteer coordinator). She seems to have been negatively affected by the family difficulty spiritually. This girl is a 8th grader with her grandparents over 70 and her mother. Her mildly disabled father died of accident last year sadly. Her grandpa is also a little disabled. 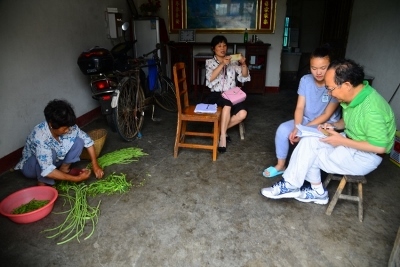 Her mother does odd jobs in Ningguo City to support the family. Her old sister just graduated from Vocational High School and is also working in Ningguo City to help the family. She helps family during weekend and summer/winter break. She likes Chinese, and Badminton. She is about average in school. We encourage her to continue to work hard and try to go to vocational high school to learn skills. The boy is a 9th grader with her parents. He father has serious back pain and does odd jobs from time to time to support the family. They rent a run down apartment near school. 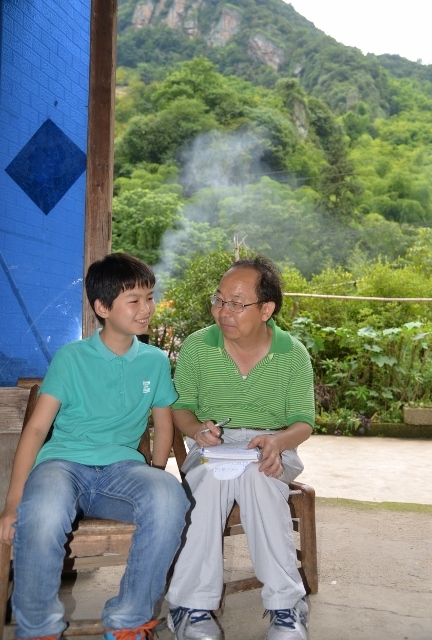 He is outstanding in school and was just admitted to the best high school---Ningguo High School in the city/county. This boy is a 5th grader living with his grandma and his father. His mother left home for a long time nad has not come back. He was awarded one of the `ten Mei De students' in the Xuan Cheng City'--a big honor for his high moral. 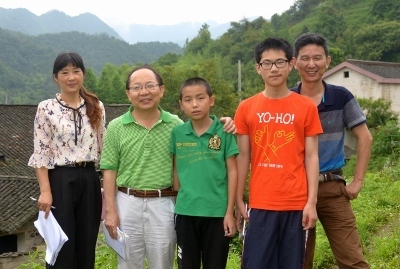 He is outstanding in school and at home and also likes table tennis. His grandma and he rent a room near school (too far). His father was, very unfortunately, put in jail for 2 year for cutting trees for someone else without approval of the government (unfair to him in my opinion). 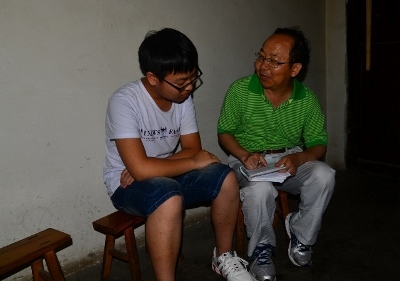 His father is an honest person, now working hard to support the family despite very limited skill and criminal record. This boy is a 12th grader with his aged grandparents of 80s, his separated parents. His father does odd jobs to support the family. His father and mother have long separated. He will likely go to Anhui Industrial University for his college study. He is very appreciative of the support we provided. for some of the letters.